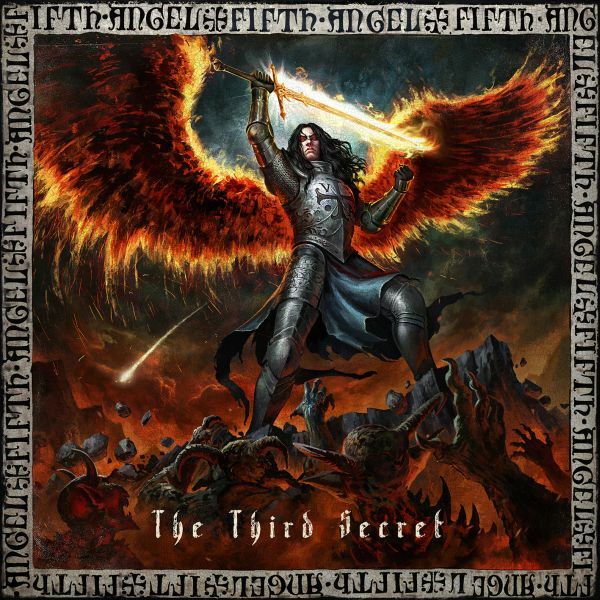 FIFTH ANGEL - THE THIRD SECRET (CD) | Online Shop | Wizard LTD. Album: "THE THIRD SECRET (CD)"
to sweep the globe, and FIFTH ANGEL was one of the forefathers of the legendary Seattle music scene that also produced iconic bands such as QUEENSRYCHE and METAL CHURCH. In 1984, high school friends Ted Pilot (vocalist) and Ed Archer (guitarist) teamed up with lead guitarist James Byrd. They filled out the lineup with drummer Ken Mary (ALICE COOPER, HOUSE OF LORDS) and bassist John Macko. Inspired by the success of QUEENSRYCHE, who shunned playing clubs for the sake of writing, recording and releasing their own music independently, FIFTH ANGEL followed a similar path.